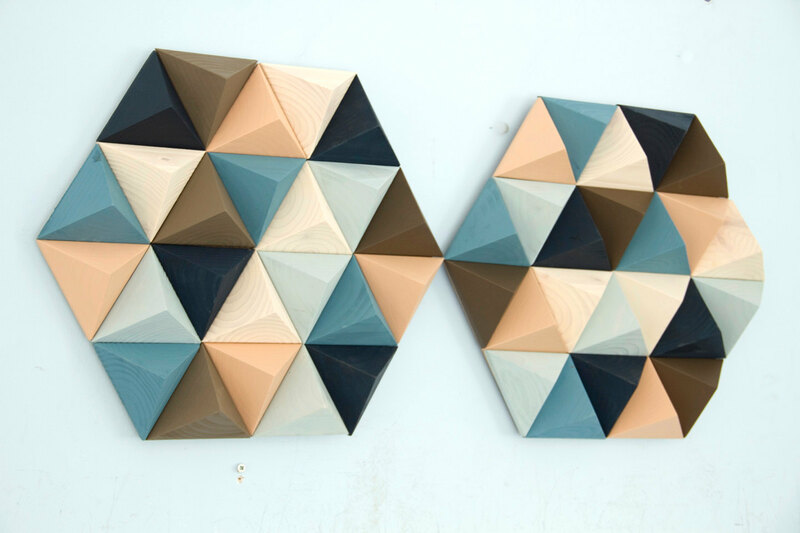 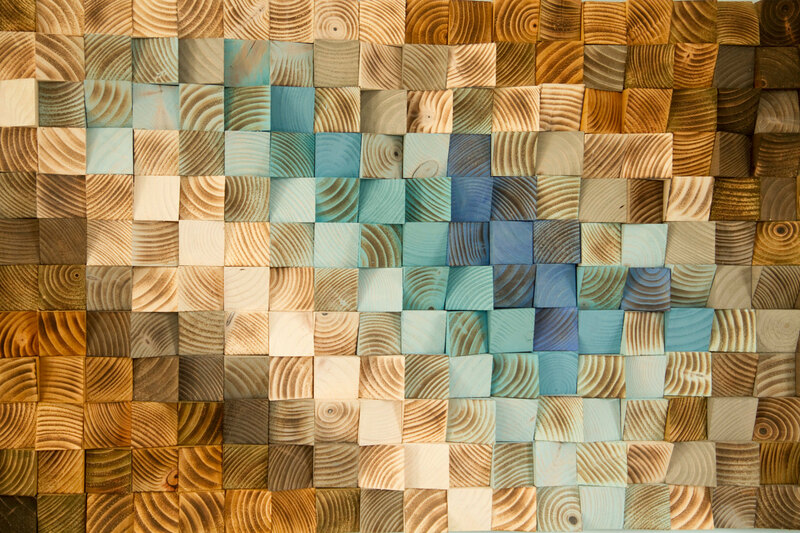 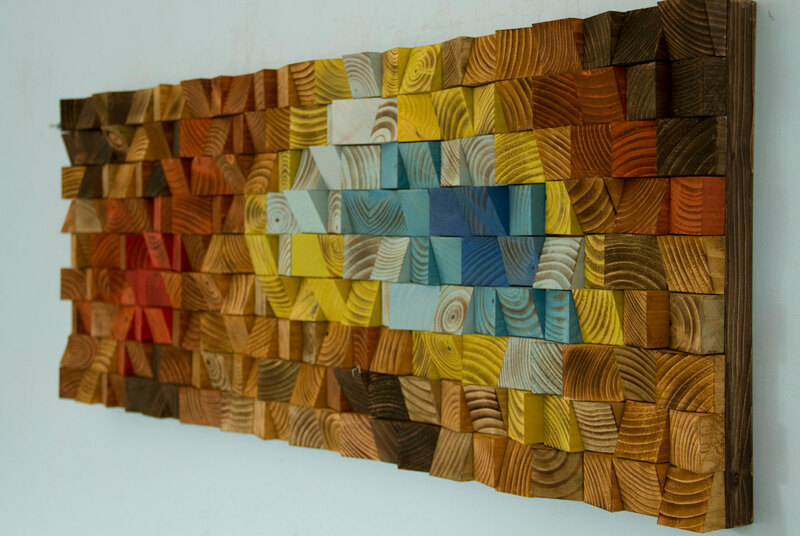 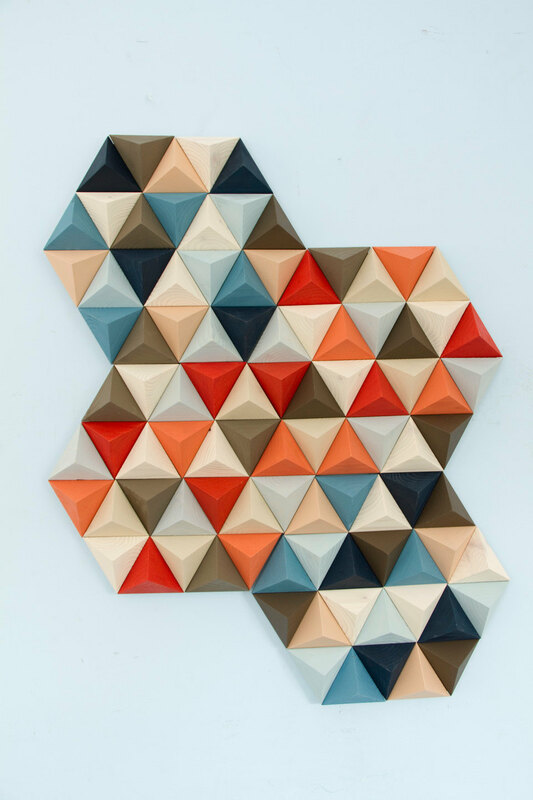 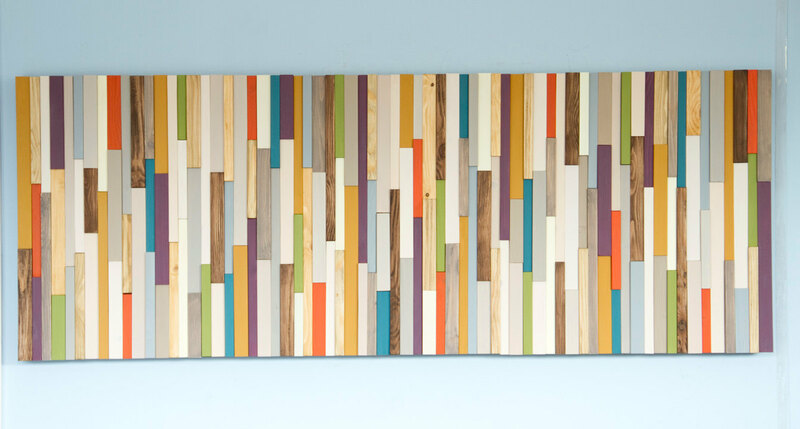 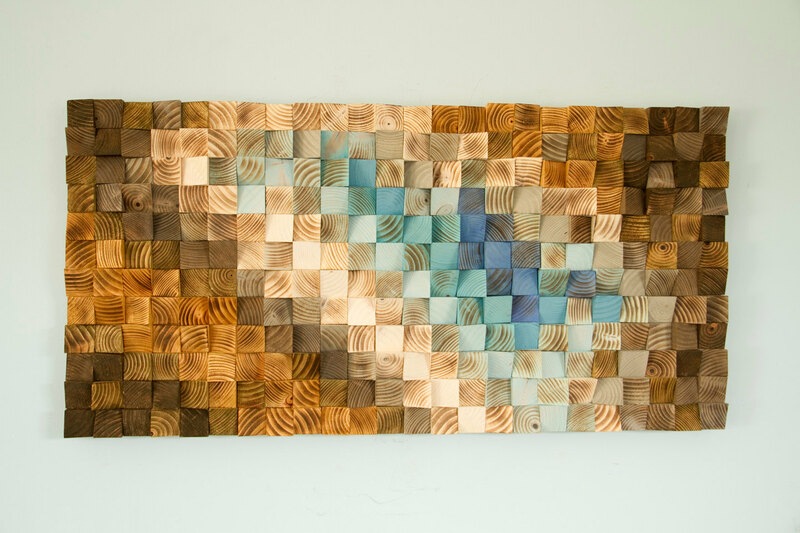 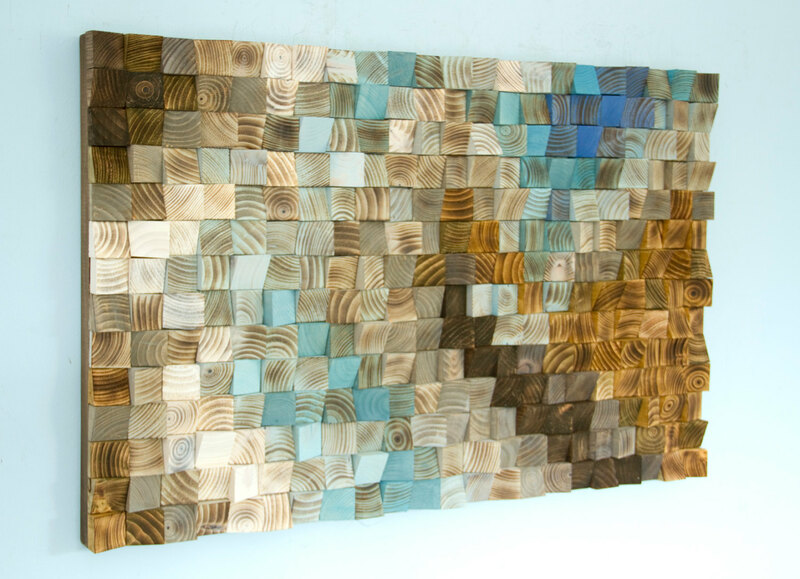 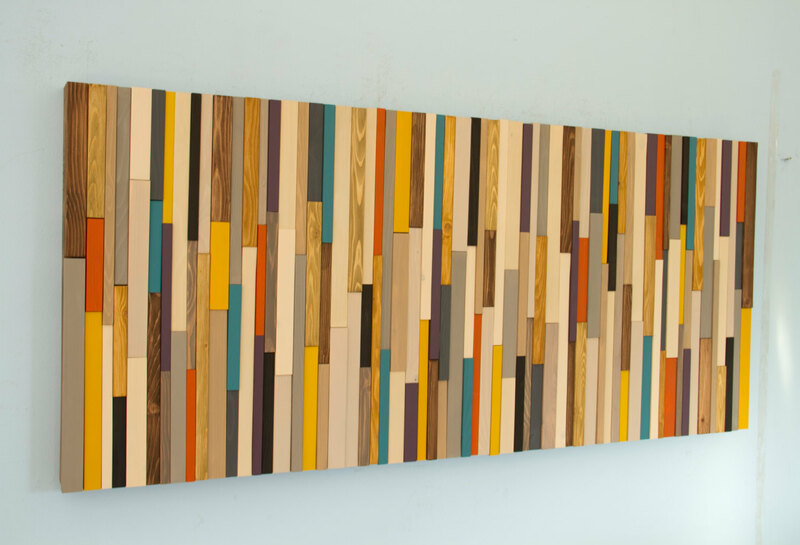 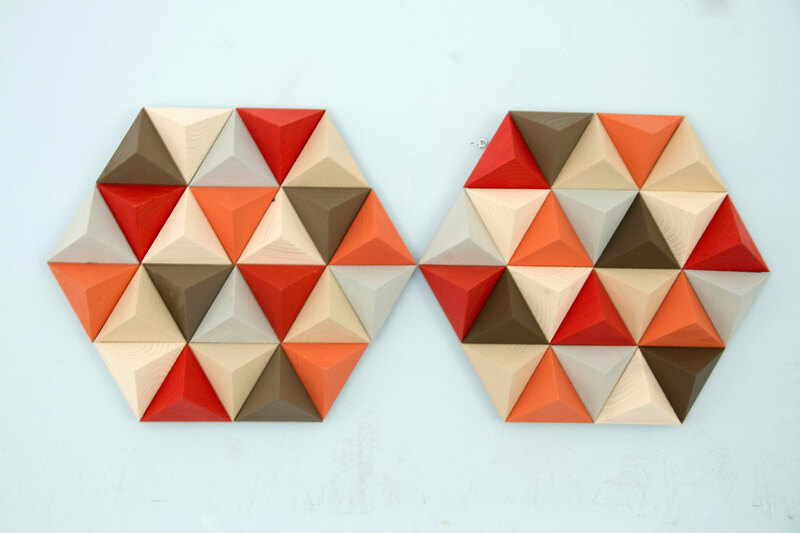 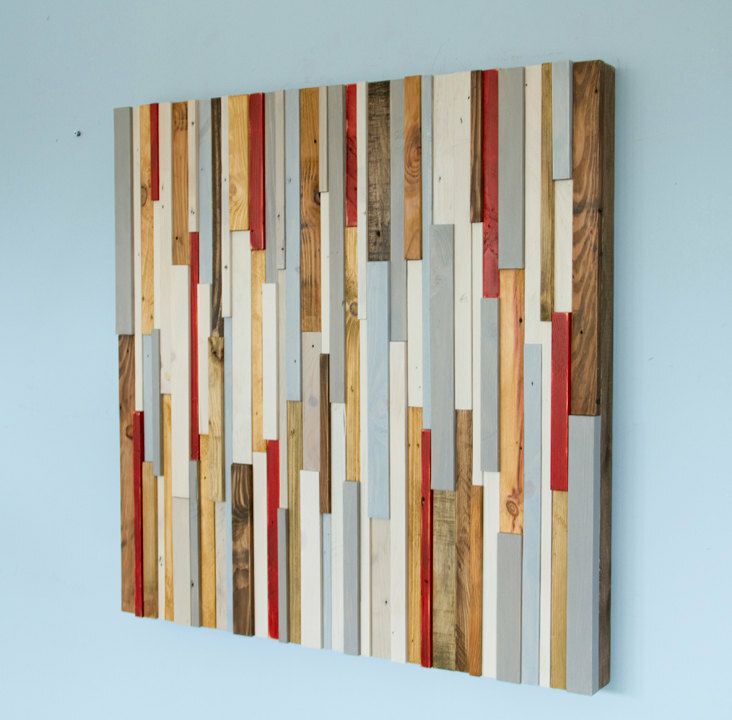 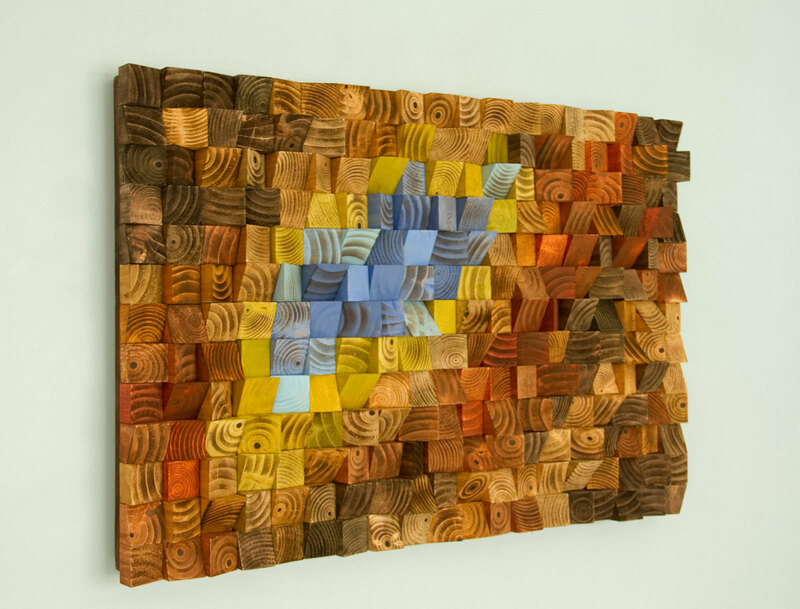 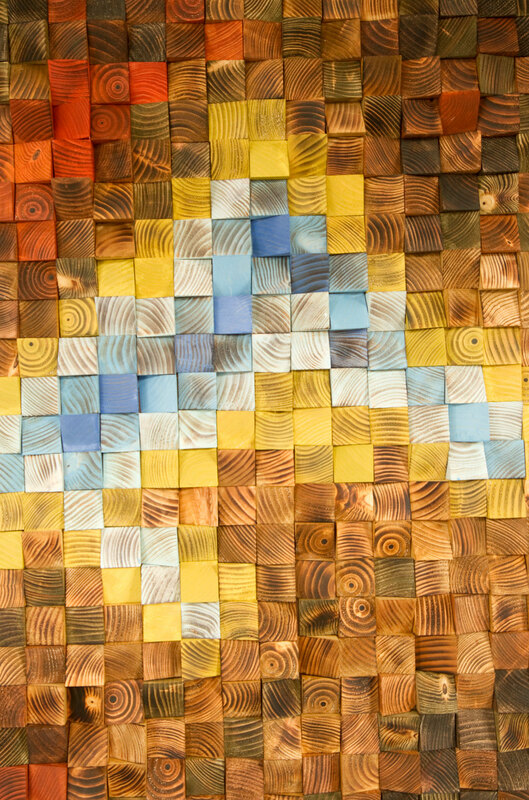 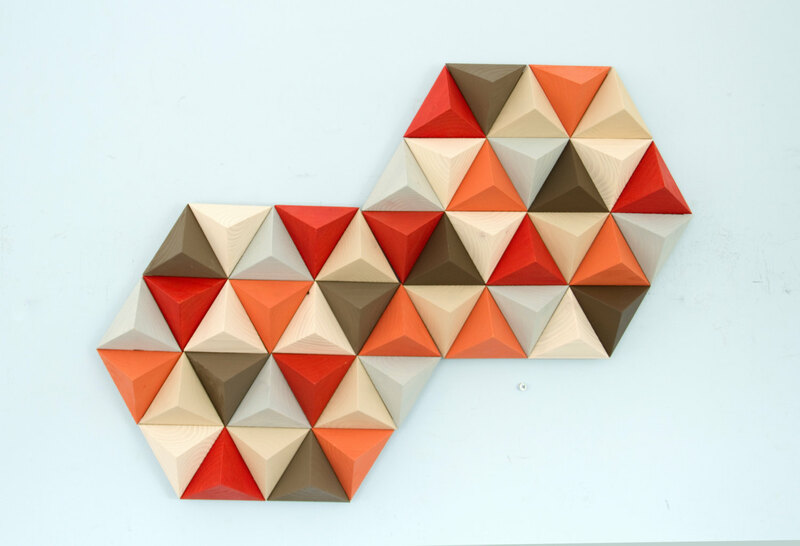 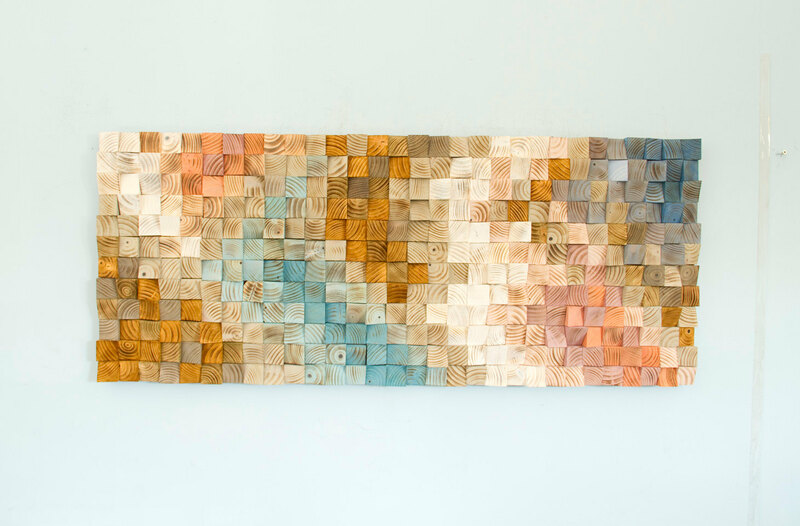 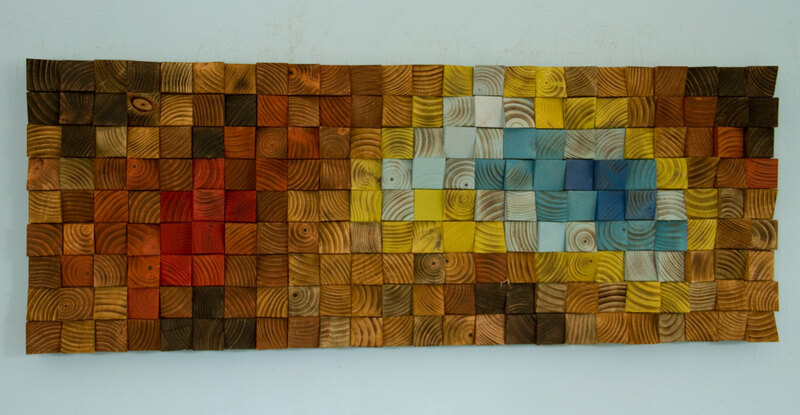 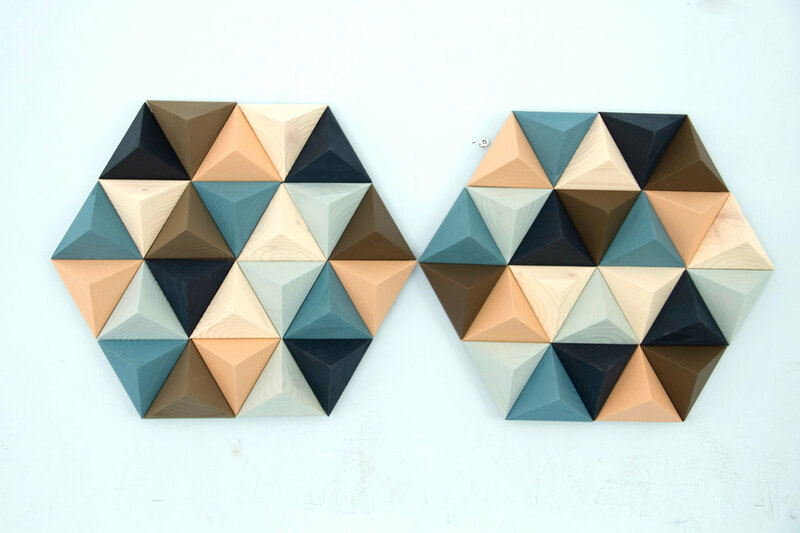 Geometric wood wall art, made entire from wood cut it into shape of pyramids with triangular shape and assembled to create unique geometric, cubist shape. 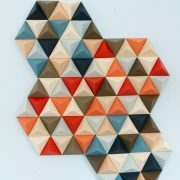 All pieces are fully hand made, cut, hand sanded and painted in acrylics or wood dyes to achieve unique coloration. 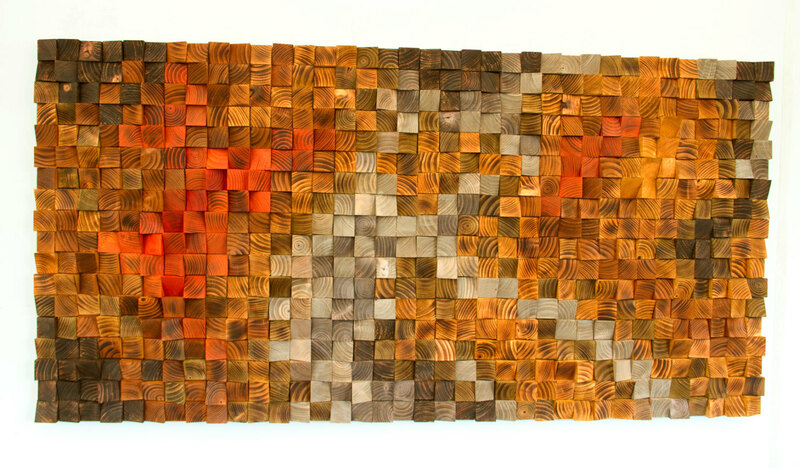 All pieces are finished with matt varnish to protect the wood and help out with cleaning. 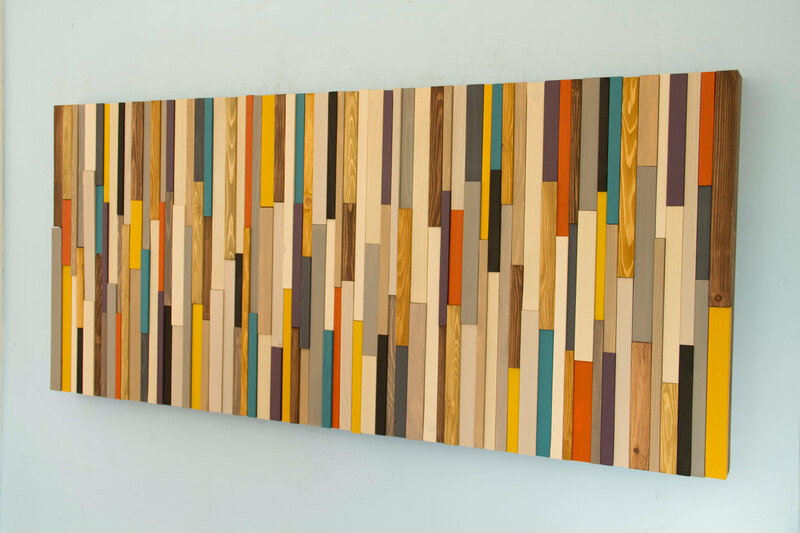 This monochromatic, mid century inspired design can be great addition as above a hall table, mantel piece, office desk or any blank wall space. 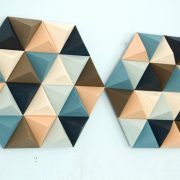 Can be ordered in larger sizes and custom colours. 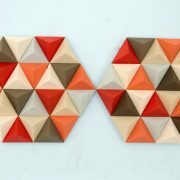 SALE NEW 2017 Design available only in Art Glamour now with 20% off included. 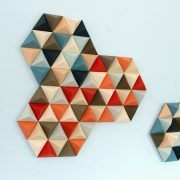 or choose custom colours and leave a note at the checkout. 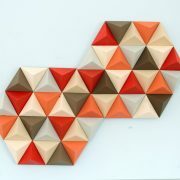 Can be customized to any colours and size. 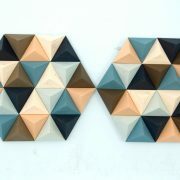 Please contact me for estimated cost. 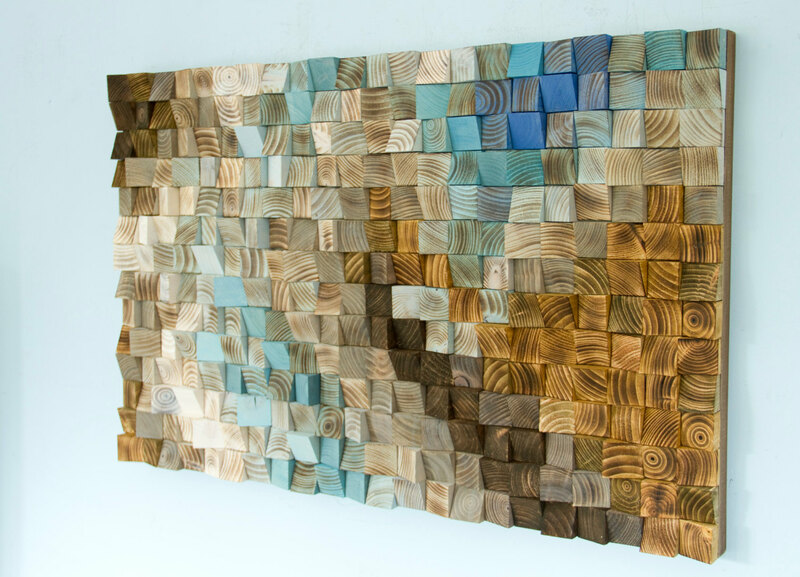 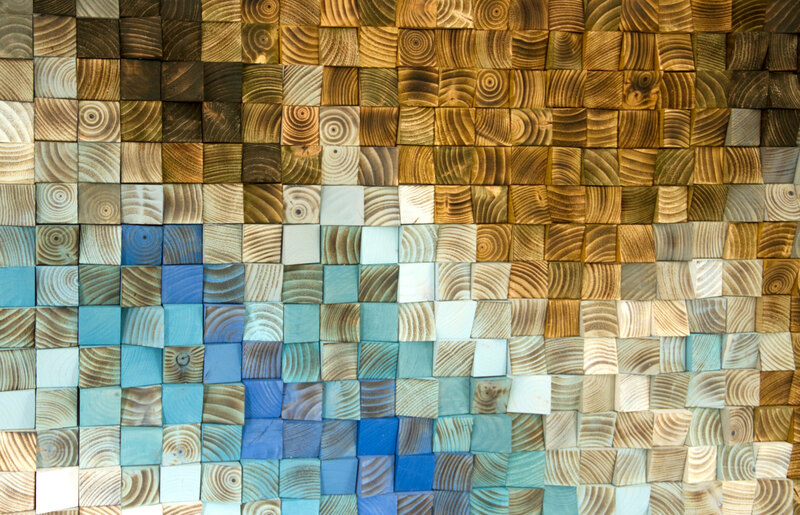 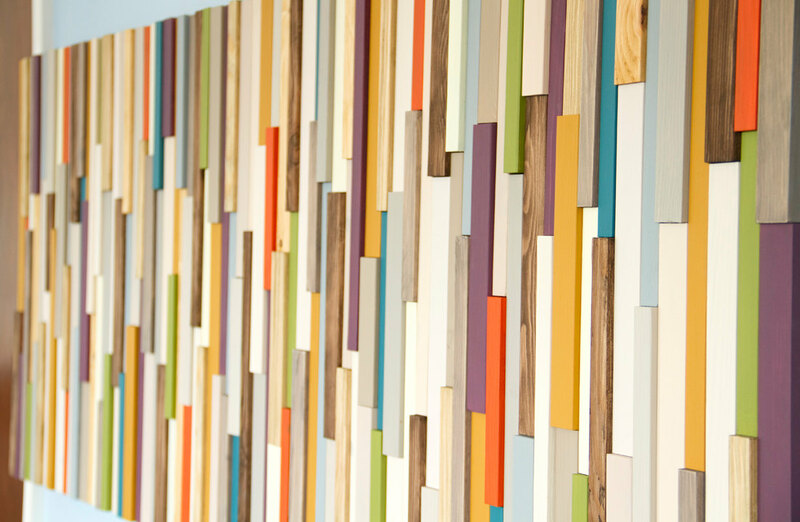 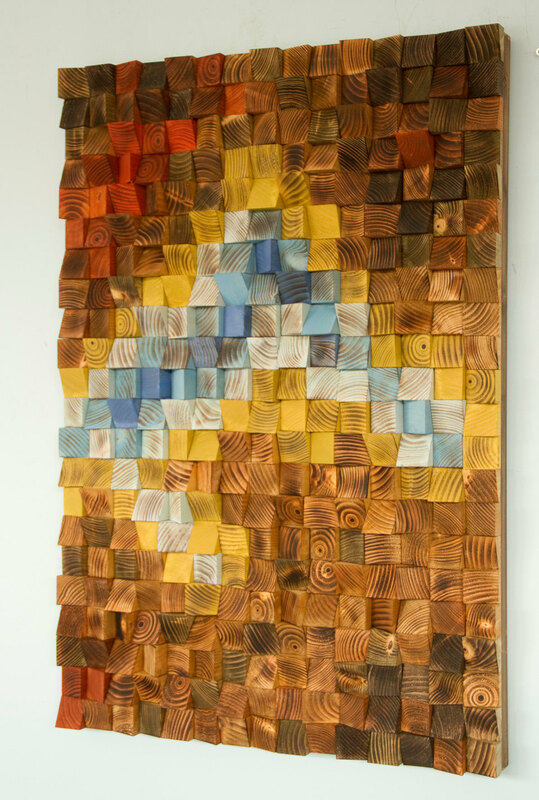 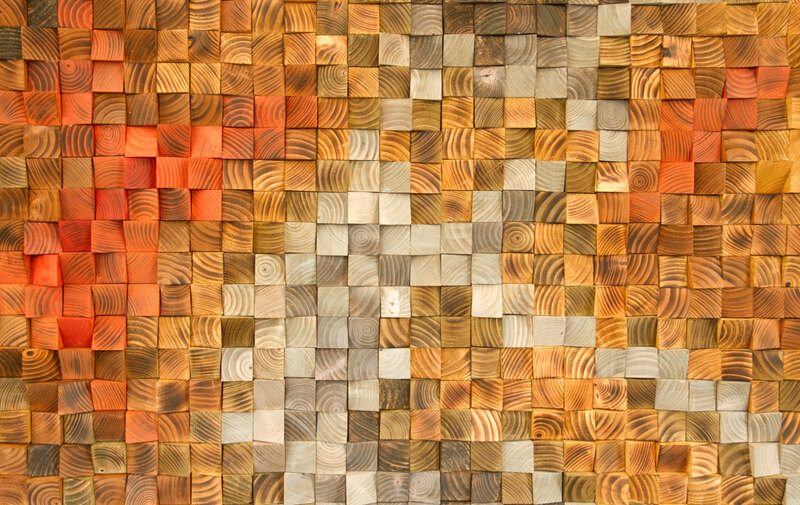 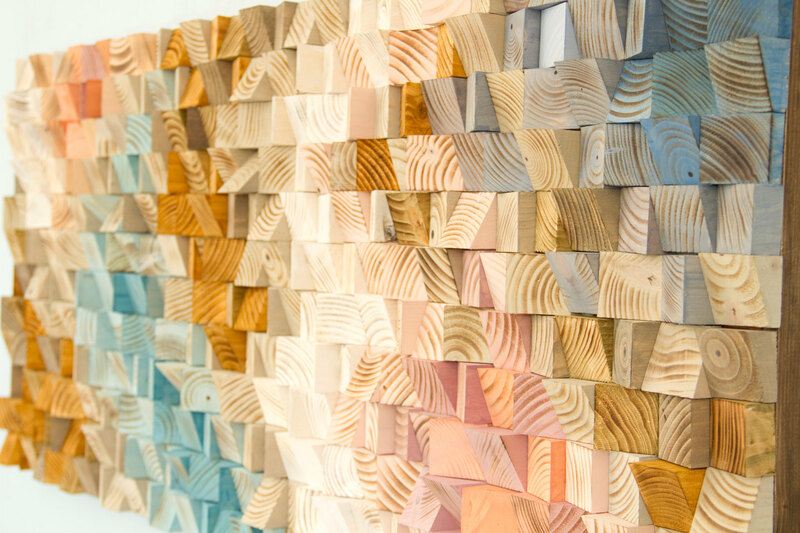 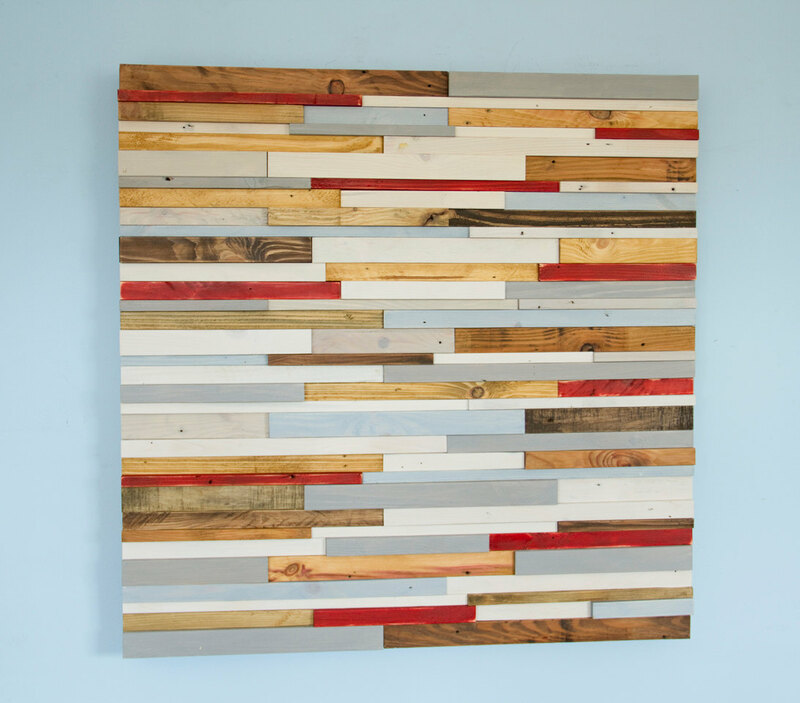 Sculptures are attached to plywood and ready to hang in a way that the plywood creates small floating of the wall. 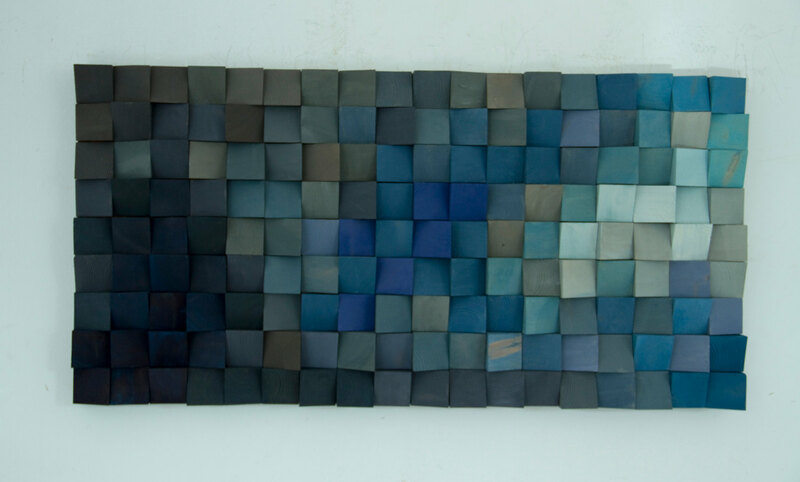 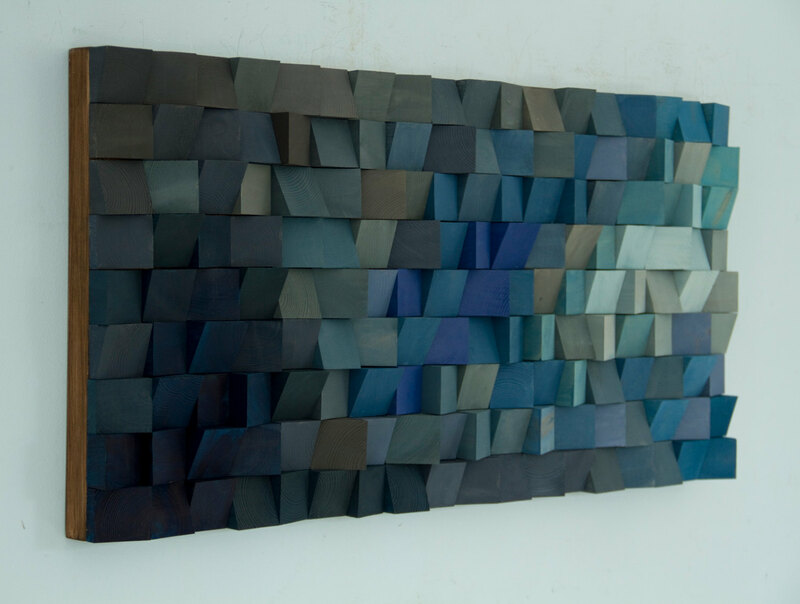 Plywood is also finished in a colour similar to the sculptures so it doesnt stand up. 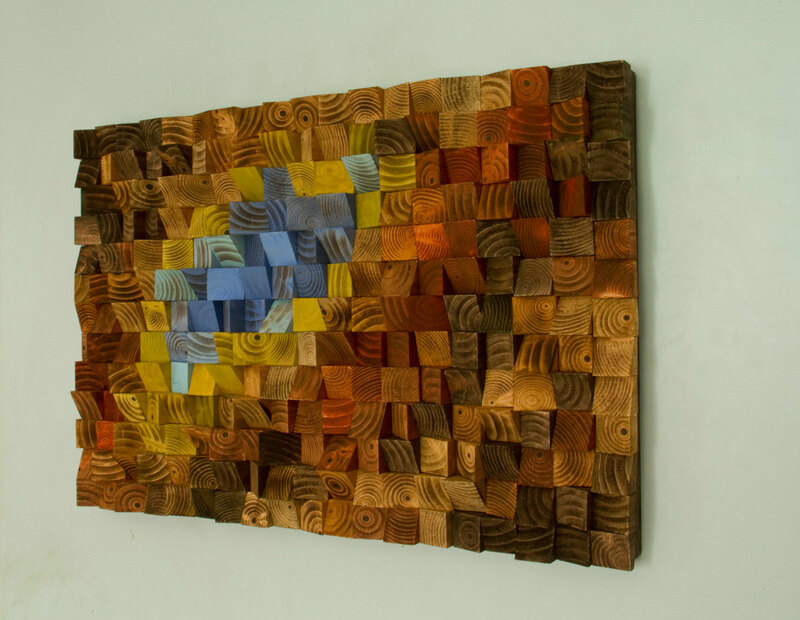 All sculptures are made to order and will be very similar to the one pictured.